Cheap flights from Brussels to Panama from €412 return! Cheap flights from Amsterdam to Beirut, Lebanon from €98! Air Europa promotion: Non-stop from Madrid to South America from €441! Cheap flights from Brussels to Panama from €412 return! We have some competitive solution for travelers in Belgium based on SkyTeam airlines Air Europa or Air France-KLM or Iberia (Oneworld). Flights have short layover either in Madrid or Paris/Amsterdam depends on which solution you choose. Note that none of the deals include checked bag in base fare and you would have to purchase separate.y (for extra fee). Except other activities you can do in this beautiful country you can explore amazing tropical isles of Coiba, San Blas or Bocas del Toro..Take advantage of this promotion and head to Central America next winter season! During this promo sale you can book the cheapest flights from Brussels to Panama City when traveling from November 2018 to May 2019. (Solution from Air Europa is available from 25th of February). Blackout period around Christmas Holidays. At this moment good availability in winter 2018/2019 which is main tourist season in Panama. Max stay 3 month. You can book cheapest flights Brussels Panama by 1st of October 2018. Below you can refer to our booking as well as few travel samples. Panama is a country in Central America with coastlines on both the Caribbean Sea and the North Pacific Ocean, with Colombia (and South America) to the southeast and Costa Rica (and North America) to the northwest. It’s strategically located on the isthmus that forms the land bridge connecting North and South America and controls the Panama Canal that links the North Atlantic Ocean via the Caribbean Sea with the North Pacific Ocean, one of the most important shipping routes in the world. If you have booked these cheap flighs from Brussels to Panama you can read more about this country at Wikitravel. Travel dates. : Compare the cheapest flights Brussels-Bangkok at website of Air Europa. Iberia or Air France/KLM. 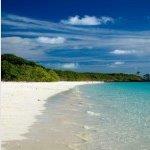 You can save some decent money off accommodation in Panama City when using following offers. Need affordable hotel in Panama City book your accommodation via Booking.com or Hotels.com. If you have booked these cheap flights from Brussels to Panama you can also compare best prices for car rental in this destination via Rentalcars.com. Booking sample of cheap flights from Brussels to Panama from €412 return! Your outbound date from Belgium to Panama City would be on 22nd of March. Inbound flight from this Central American country back to Brussels on 7th of April 2019. Take advantage of this latest promotion from Belgium to Panama and book the cheapest flights from Brussels to Panama City!